From October 19 –28, the National Arts Centre Orchestra will continue its Canada 150 Tour, beginning in Winnipeg, then travelling to Saskatoon, Calgary and Edmonton. The tour will celebrate the 150th anniversary of Confederation through music, by engaging with audiences, young audiences and young artists. This is the first tour led by the NAC Orchestra’s highly acclaimed Music Director, Alexander Shelley, and will feature the Calgary-based pianist, Jan Lisiecki and NAC Orchestra violinist Jessica Linnebach. Celebrating the artists, educators and youth who will shape our future. The NAC Orchestra’s Music Director, Alexander Shelley will work with community bands, youth orchestras, students and young artists. Cross-cultural engagement activities will focus on giving students the opportunity for understanding and exchange with a focus on creative expression through the arts. Alexander Shelley, Jan Lisiecki, John Estacio and NAC Orchestra musicians will be in residence at the Desautels Faculty of Music at the University of Manitoba from October 17-20. 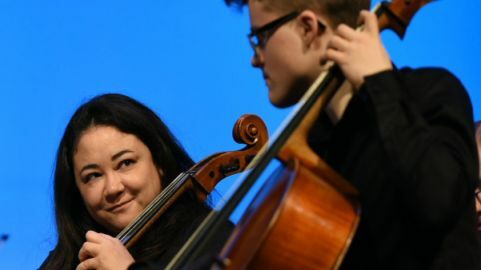 The residency will include instrument specific masterclasses, sectional rehearsals, lectures, conducting and composition workshops and a special recital performance. 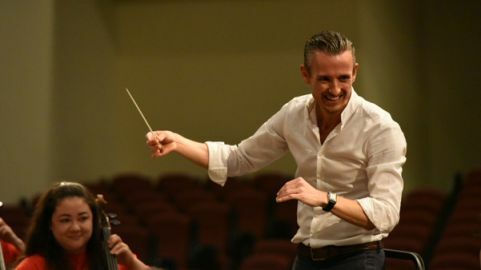 Alexander Shelley and NACO musicians will offer masterclasses to students including a two-day residency with the Mount Royal University Conservatory's internationally acclaimed ensemble and one of Canada’s leading community youth orchestras: the Calgary Youth Orchestra. 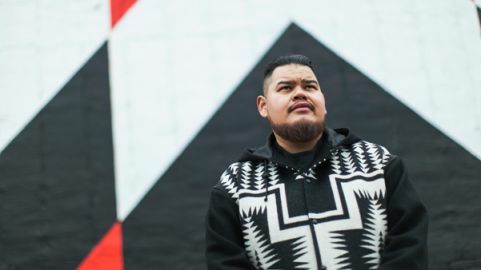 Ten outstanding Winnipeg artists representing diverse Indigenous cultures and musical genres will attend a Summit for Indigenous Musicians led by Winnipeg’s Leonard Sumner and Montreal’s Moe Clark, which will conclude with a community performance event at the iconic Thunderbird House. 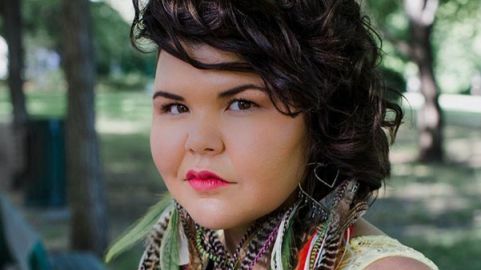 The award-winning Indigenous youth leader and MAP Teaching Artist Zoey Roy will lead two events in Saskatoon, a talk and Q&A for young people interested in careers in the arts, and a hip-hop creation workshop at a local First Nations elementary school. 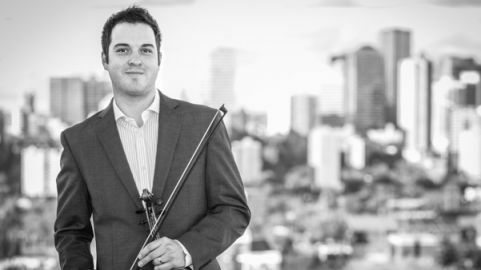 Celebrated Métis Fiddler and MAP Teaching Artist Daniel Gervais will lead school and community events in Edmonton, sharing Métis culture with students and mentoring the next generation of fiddlers. The NAC’s Music Alive Program has reached over 100,000 students, teachers, and community members in mostly rural and remote communities in Alberta, Saskatchewan, Manitoba, Nunavut, and the Atlantic provinces. The program promotes musical and cultural diversity and will be featured throughout the tour as MAP teaching artists lead innovative education events with schools and community organizations. Music Director Alexander Shelley, pianist Jan Lisiecki, concertmaster Yosuke Kawasaki, and guest artists offer masterclasses and workshops at the Universities of Manitoba, Regina, Saskatchewan, and Calgary, Mount Royal University Conservatory. The tour will include student showcasing opportunities, masterclasses, workshops, coaching sessions and school performances. NAC Orchestra musicians will perform in-school concerts for Francophone elementary students in every city.